Divided Venturi nozzle structure contraction section, straight sections and diffusion segment of three parts, aerodynamic performance is superior to straight bore nozzle, vortex phenomenon is significantly improved or ceased to exist, the pressure loss is greatly reduced, at the same pressure conditions, increase exports to more than double the speed of the abrasive, work efficiency increased by 15% -40% compared to straight bore nozzle, abrasive consumption reduced by 20%. Single inlet nozzle is a time into the wind. Double inlet is the second into the wind, before and after the two nozzles, there is space between RCen the two, at around eight holes at intervals, in such a large and one small, the nozzle arrangement in a previous post, As the role of the high-speed air stream to produce a sufficiently large negative pressure, RC air is drawn into the nozzle, the discharged air is greater than the compressed air into the nozzle outlet velocity abrasive increased again. In addition, double inlet jet produced sand lance end diameter larger than a single into a number of wind divergence surface abrasive stream into 30% larger than a single wind, higher cleaning efficiency. 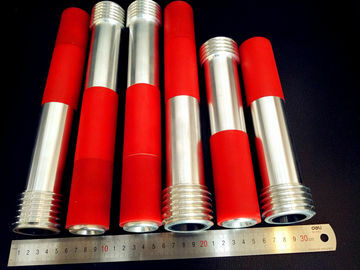 The sandblasting venturi nozzle are made from boron carbide and aluminum jacket. The boron carbide is in very high hardness, excellent wear resistance and the boron carbide won’t react with acid-base. High/low temperature resistance, high pressure resistant, density≥2.46g/cm3,micro hardness≥3500kgf/mm2, TRS≥400Mpa, melting point is 2450℃. With above performance, now many customers choose the boron carbide material used especially in light armor, reactor neutron absorber. In addition, compared with the diamond and cubic boron nitride, boron carbide is easier to manufacture with low cost, and therefore is is more widely used in sandblasting, grinding, drilling and others. Standard inch thread: 1-1/4 ,11-1/2 N.P.S.M. Coarse thread: 2 ,4-1/2 U.N.C. China High Broad New Material Co.,Ltd. 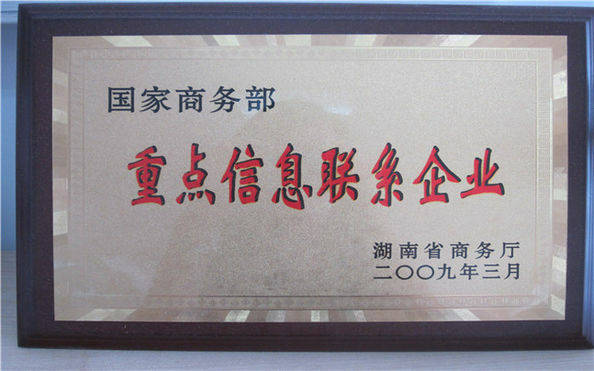 established in Changsha City, Hunan Province, the largest tungsten carbide producing area in China , capital of Hunan province. We own a factory specialized in cemented carbide and related tools, we also do many other OEM products as request from customers. As a professional manufacturer, we are equipped with advanced equipments and specialized persons, especially have rich experience in making customized products. 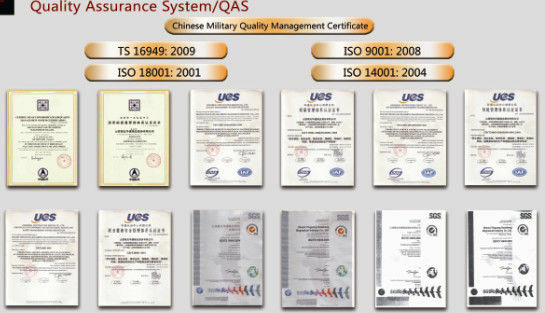 Over 10 years, we have been committing to "High Quality, Best Price, Sincere Service" as soul of our factory. Our factory have a whole set of machines, including sieve shaker, press machine, sintering furnace, dryer, grinder, lathe, milling machine, cnc wire-cut machine, radial drilling machine, spark erosion drilling machine, etc. We also gathered the professional staff members in the area of designing, producing and sales and our workers are well trained and experienced. 4) free professional technical service online. ♦ We can send you some of our products for you reference which is free. ♦ You give us your requirements and specifications and we can make the product as you required. ♦ We can also help you to design the products. ♦ We guarantee that all the products we send out are qualified products, if there is any quality problem we'll remake them for you. ♦ If you have any question, please feel free to contact us, we'll answer to you as soon as possible.